The Surf Rescue Certificate is a skills-based award which forms the entry level qualification for junior surf life savers aged 13 years and above. The SRC provides participants with an understanding of basic patrolling, surf awareness and life saving methods. The SRC is also the minimum water safety award for Junior Activity supervision. In order to undertake SRC water training or assessment, all candidates must be at least 13 years old on the date of final assessment, and must be able to complete a 200 metre unaided swim within five minutes. Candidates train in groups, twice a week, for roughly six to eight weeks. During this time they develop skills in first aid, signals, surf safety, resuscitation, rescue techniques, communications and team work in a patrol environment. As part of the assessment, candidates must successfully complete a 300 metre run-swim-run (100 metres per leg) within five minutes. Upon successful completion of the SRC training and assessment, junior life savers will be allocated to their new patrol and expected to fulfill patrol obligations (40 hours per full season). SRC Certificates are awarded at the end of season Presentation night. 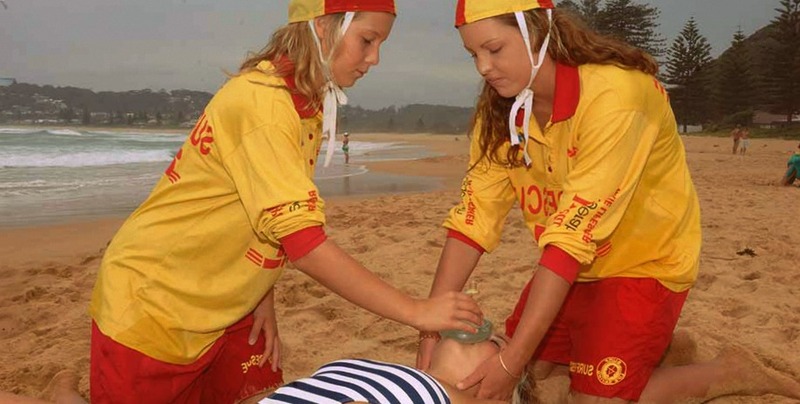 And once they turn 15, junior lifesavers can undertake Bronze Medallion training.